My first fish from the 2014 project kicked things off with a bang. Last year, I had a tough summer, fishingwise, so to make up for it, I set myself a goal: to go fishing 20 days during the month of September. Thus was born the “20 Days in September” Project. I . . .
Madison shows off both her remarkable fashion sense and a beautiful brown trout from her namesake river. Sometimes there are moments that just must be captured. We are always on the hunt for bigger fish, new waters, and the thrill of a tight line, but it is also valuable to reflect on what it is. 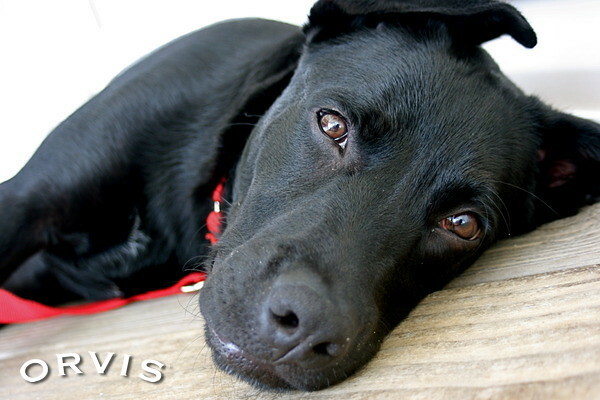 . .
What Does Your Dog’s Name Say About YOU? Reed has a person name, which means he’s as important as a human. Have you ever stopped to consider what your dog’s name says about you and your feelings about him or her? An article on The Dodo takes a look at the list of most popular dog names from. . .
A few weeks ago, we posted a wonderful short documentary about a family of “bat dogs” working with the Trenton Thunder baseball team. Last night, another bat dog was celebrated for an. . .
Here’s an awesome trailer for an upcoming series about chasing as many different species of fish as possible on a 5-weight fly rod. These guys aren’t messing around, casting to bonefish, . . .
Dave Meador shows off a late-season Missouri River brown. David Meador has been fly fishing since 1978, getting started back in his home state of Virginia. But like most die-hard trout bums, he could not resist the pull of the West and the lure of the. . . The late Russell Blessing with his most famous creation, the Woolly Bugger. If you’ve ever wondered about the origins of the world’s most popular fly, Fly Rod & Reel has a great interview with Fred Blessing, son of the late Russell Blessing, the man who first tied a. . .
Do Some People Really Love Their Dogs More Than Their Partners? This woman doesn’t hesitate to make her choice. It’s a tough question for some: If you had to choose between your dog and your significant other, which one would get kicked to the curb? According to a recent poll, 38% of respondents picked. . . Welcome to our latest edition of the Orvis News Friday Fly-Fishing Film Festival, featuring the best videos from around the world. This week, you’ve got a crop of 15 cool productions to choose. . .